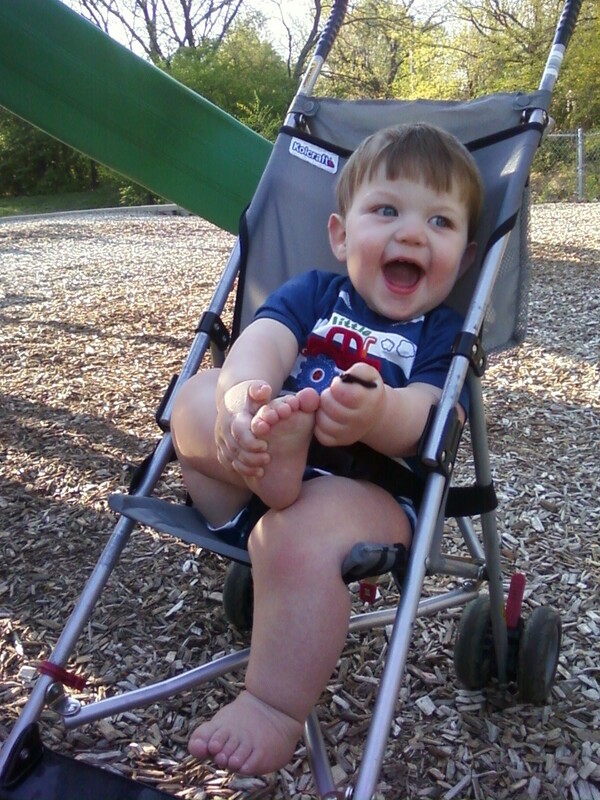 Luke and the rest of the family are enjoying a nice afternoon at the park. It's the first time we've been to this park. It is small enough to never have anyone here but big enough to have slides, swings, and a merry-go-round. Luke also got to go down his first baby slide. A total drop of 2' with Mom holding on the whole time.